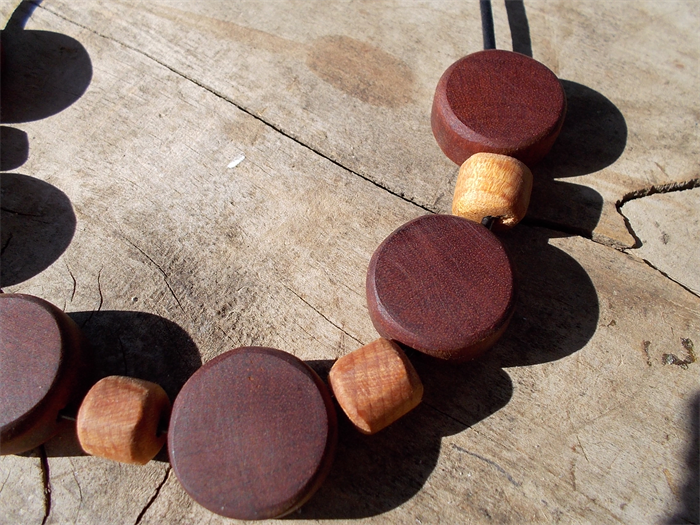 This listing is for an unique timber bead necklace. 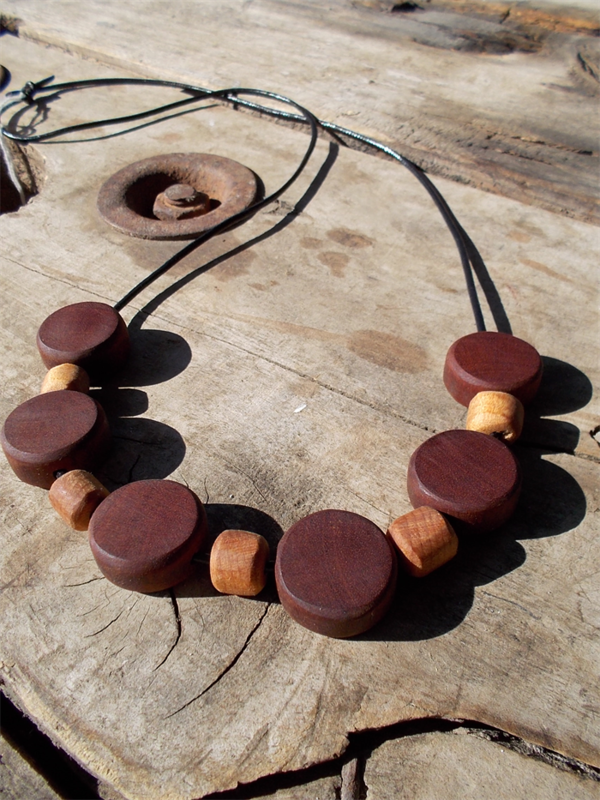 The beads are all hand tooled and hand shaped from a range of reclaimed timbers including Australian red cedar and oak. 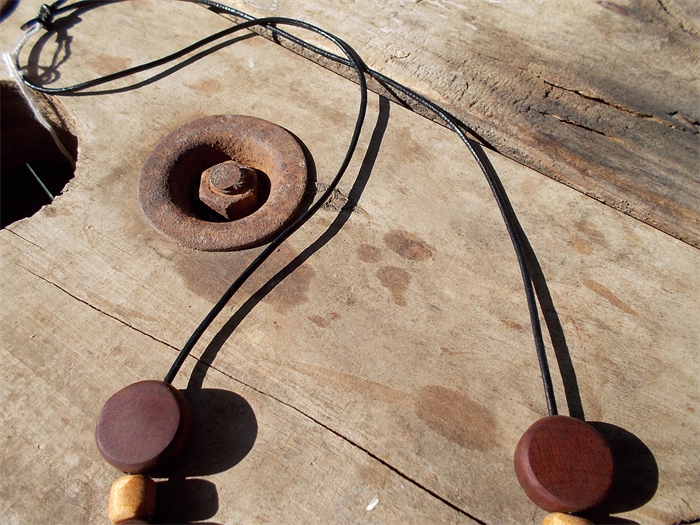 The beads are strung simply on leather thonging and the necklace hangs (approximately) 30cm from back of neck. 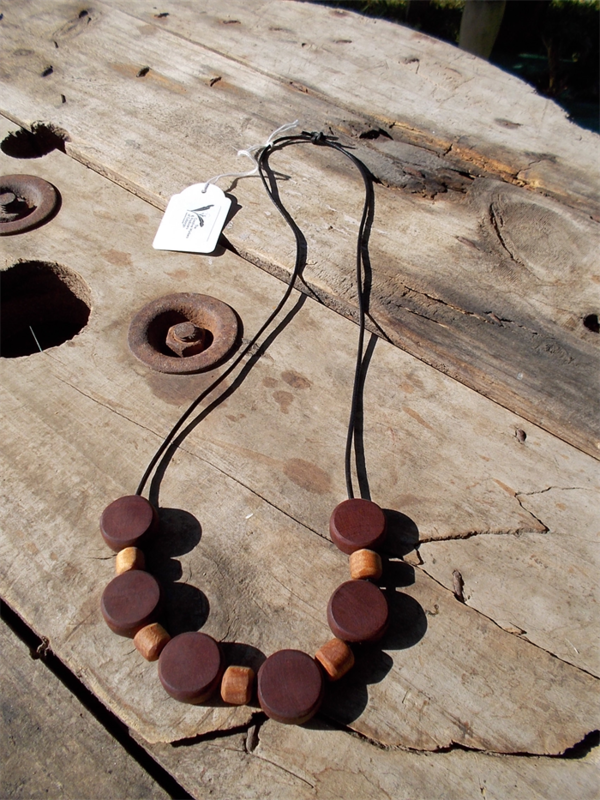 An earthy, sustainable and striking piece with unisex appeal. postage discounts are available for multiple purchases. Please contact me about postage or anything else you have queries about prior to purchase.